Beginning June, 16th 2017 you can be a part of this historic weekend and help welcome the great General who helped win the American Civil War! Your encounter with history begins at 5PM on June 16th with a Press Conference at the Seminary Ridge Museum where General Grant will discuss his arrival and plans for his visit to Gettysburg. 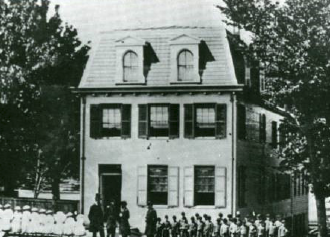 Join General Grant at 9AM on June 17th as he visits the National Soldiers Homestead Orphanage in Gettysburg and takes a photo next to the building he visited 150 years prior before departing for a 9:45AM Gettysburg Battlefield Tour where you will accompany General Grant as he tours the Gettysburg Battlefield with a local guide and inspects his evening’s accommodations at the David Wills House. Tickets can be purchased individually from the Gettysburg Tour Center (717-334-6296) or as part of the package price listed below. 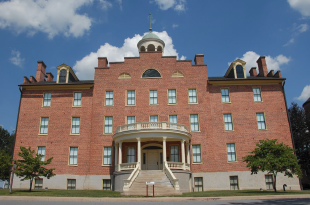 Return again to the Seminary Ridge Museum at 3PM on June 17th don’t miss a special presentation at the Seminary Ridge Museum about the Battle’s veterans return to Gettysburg and early attempts at Post War reunions. Make sure to allow enough time to tour this world class museum! 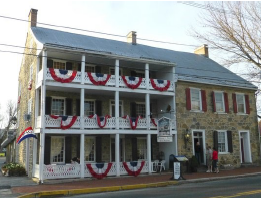 To cap off the weekend at 7PM on June 17th dine with General Grant for one of his favorite meals at the Historic Fairfield Inn located just minutes from Gettysburg. Flank Steak, Cucumber Ribbon Salad and Lemon Rice Pudding will be serviced which are among General Grant’s favorites! In addition to a fantastic meal you will hear stories of Grant’s inner circle and learn about what it takes to lead the Union Army to victory in the American Civil War. To make your reservations call 717-642-5410. 15 West Main Street, Fairfield PA.
To participate in the entire weekend’s activities individuals can purchase the “General Grant’s Return” Package from Gettysburg Group Reservations starting at $110 per person. 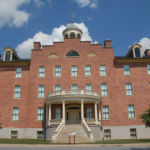 Posted in Blog, Events, Feature Stories, Interesting History, The Civil War, Things To Do and See, Upcoming Events and tagged fairfield inn, General Grant, general grant's return, national soldiers homestead orphanage, Seminary Ridge Museum on May 26, 2017 by Gettysburg Battlefield Tours.